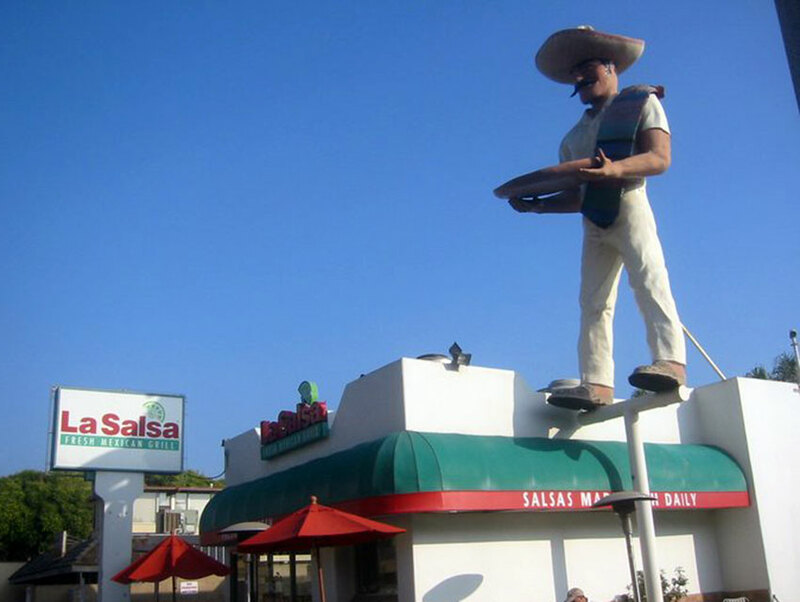 Ask Chris: La Salsa in Malibu has closed. What’s going to happen to the giant “taco guy” on top of the building? The 22-foot-tall fiberglass mascot has overlooked PCH for about 50 years, half of that time wearing a sombrero and a serape. If the next tenant agrees, he could remain on his perch for 50 more. Property manager Ted Barnes, who has been searching for a new lessee since La Salsa moved out in February, says, “We’d love to see him stay. It’s an iconic piece of art.” It’s also a twin. In 2000, the late actor and artist Dennis Hopper made a replica that’s in the collection of the Carnegie Center for the Arts in Dodge City, Kansas.